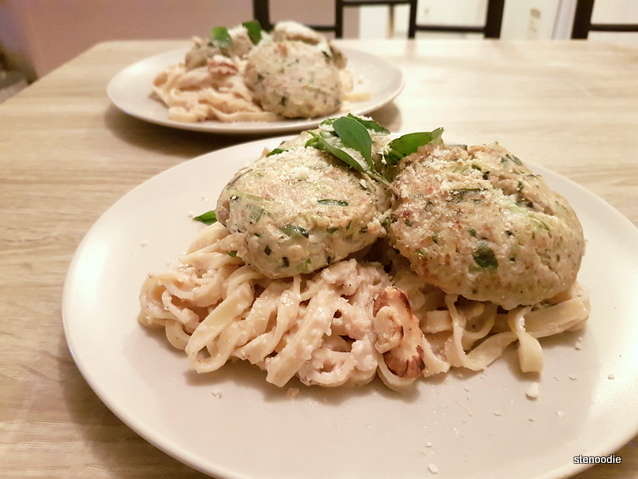 One Kitchen is a brand new meal prep service available in Toronto. You can choose from their range of recipes available on their website. 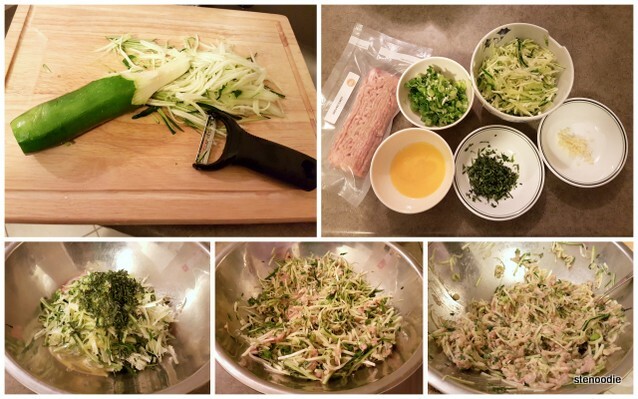 Ingredients are then pre-measured and delivered to your house to save you time and avoid waste. They source directly from local Ontario farmers, so you don’t have to go grocery shopping and can enjoy the highest of quality meals. I had the pleasure of trying out this service thanks to Mike from One Kitchen who contacted me about it. 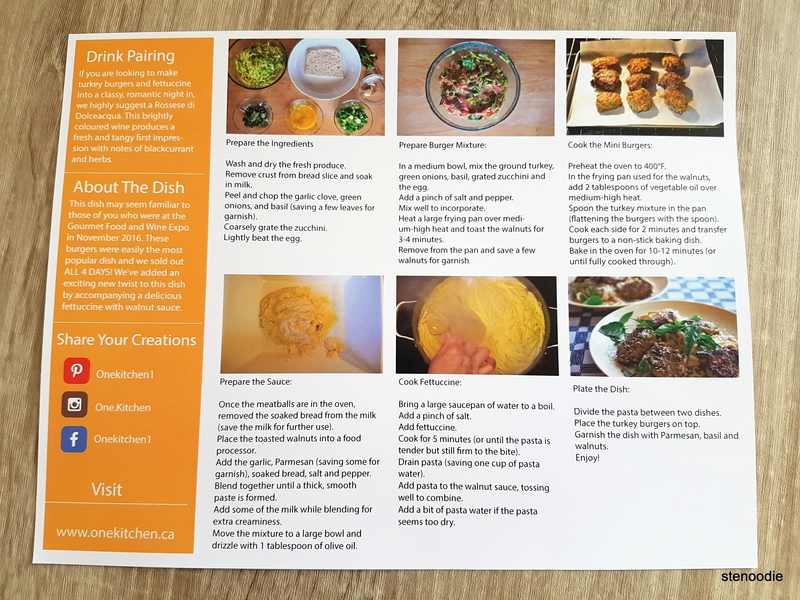 I had tried other similar meal prep companies before and I’ve always loved cooking and exploring new recipes that I wouldn’t have ventured out to try if it weren’t for these easy and straight-forward-to-use recipe cards and new recipes. 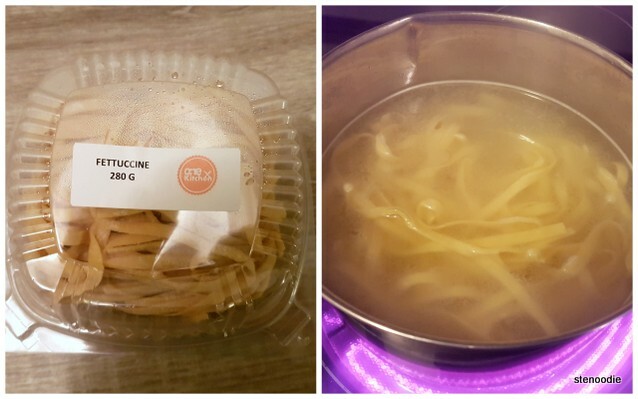 I was able to choose three meals from their website. 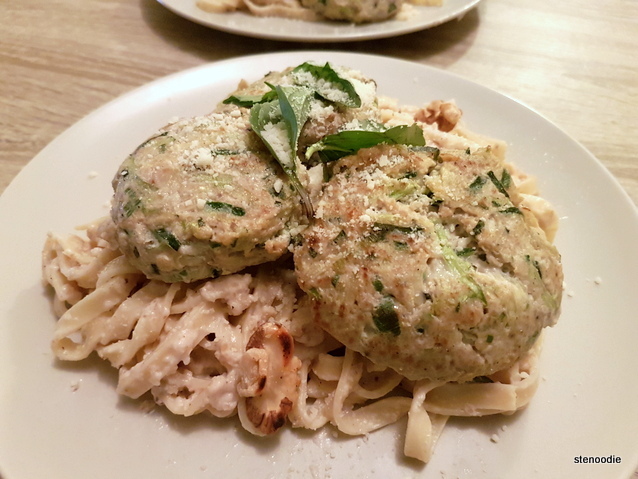 This first one that I tried to cook was the Mini Zucchini Turkey Burgers with Walnut Fettucini. 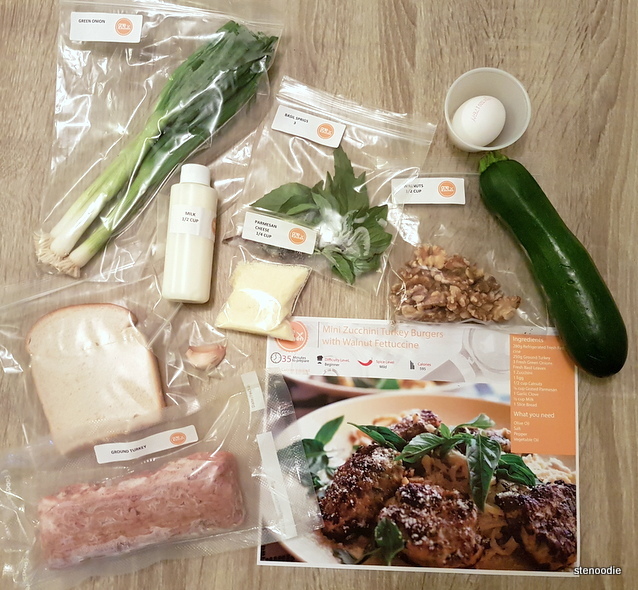 All the ingredients were pre-packaged and pre-measured so that I didn’t have to worry about not having the right amount of ingredients to make the dish. 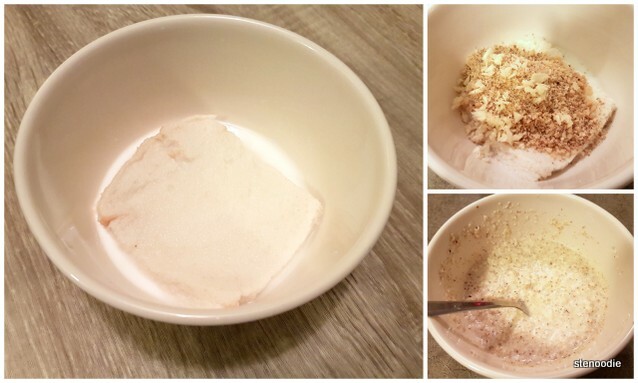 I really appreciated how the ingredients were fresh and separated by paper bags. They are an eco-friendly company too where they recycle their liners and boxes from their customers to reuse if possible. Time to cook the fettucini! 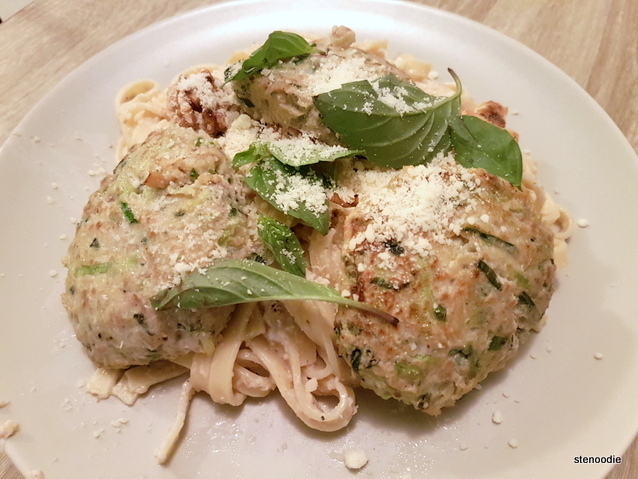 After following the steps, I was able to make my own dish of Mini Zucchini Turkey Burgers with Walnut Fettucini! 🙂 I thought that the portion was sizable; the fresh fettucini was more than enough for the two of us. I liked that it was fresh fettucini too. 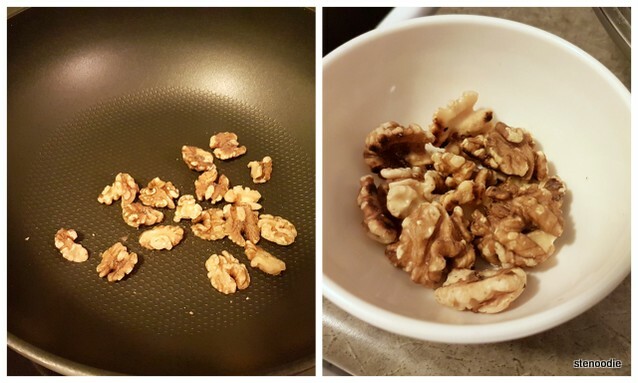 The walnut sauce for the fettucini was grainy but I loved the Parmesan cheese in it. 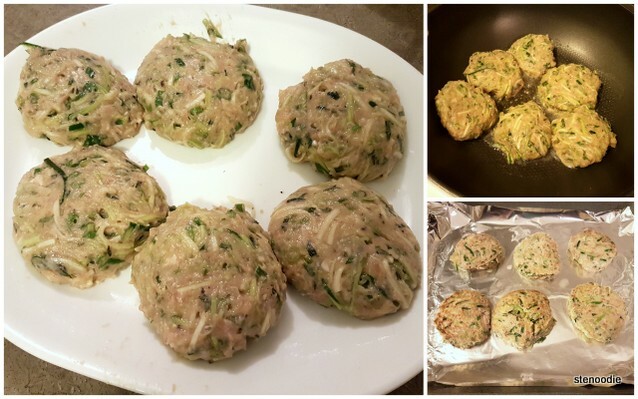 The mini zucchini turkey burgers were very healthy too in that there was less ground turkey meat than zucchini and green onions in the patties. This would be ideal for those looking to eat more veggies in their diet, but for those who prefer a little more meat in their burger patties (as I did in my first impression of these burgers), you may want to beef up (literally!) these burgers with more turkey meat. 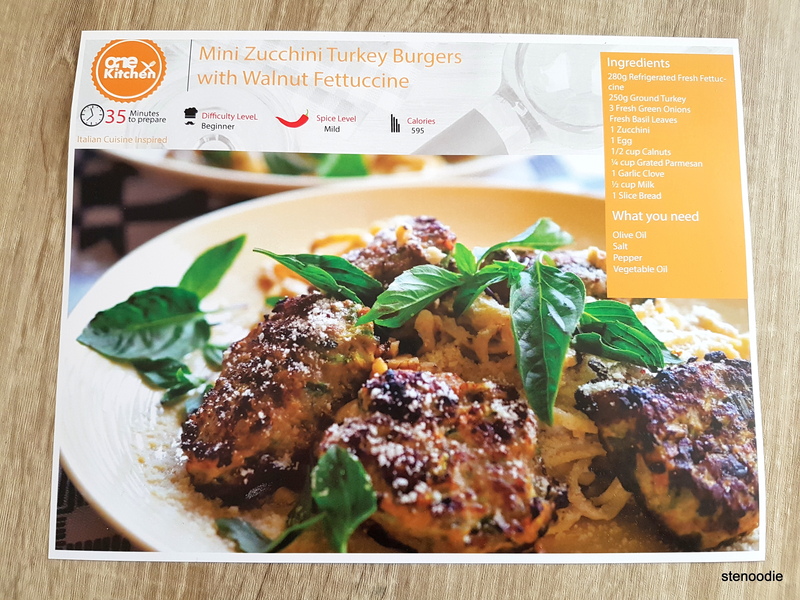 This entry was posted in Complimentary Adventures, cooking and tagged burger mixture, fresh, how to make Moroccan chicken, meal prep, Mini Zucchini Turkey Burgers with Walnut Fettucini, One Kitchen, One Kitchen recipe cards, pre-portioned meals, recipe card. Bookmark the permalink.